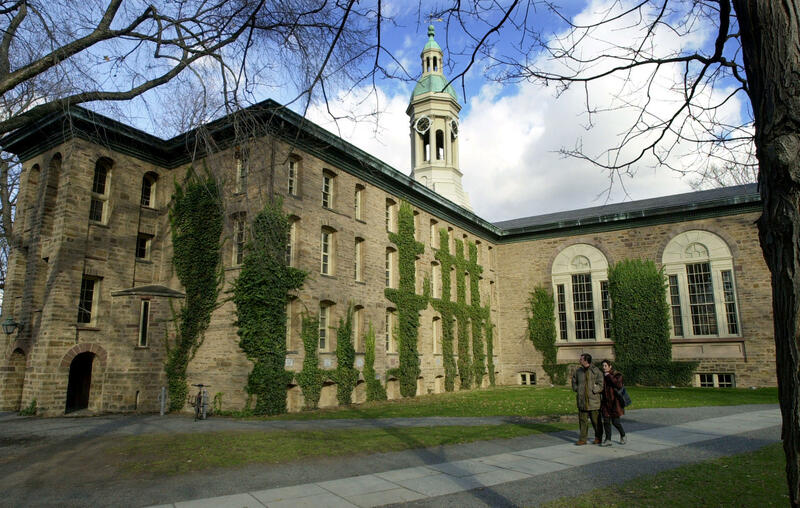 PRINCETON, N.J. -- Princeton University has canceled the rest of the men’s swimming and diving season after school administrators discovered that team members had posted “vulgar and offensive” material on their electronic mailing list. The school announced Thursday that Athletic Director Mollie Marcoux Samaan told the team it won’t compete in meets scheduled against Navy on Jan. 7 and Harvard and Yale on Feb. 5. It also won’t compete in the Ivy League championship in February. The team was suspended last week after university officials received an anonymous complaint about the team’s electronic correspondence. A statement released by Princeton did not disclose specifics but said the “misogynistic and racist” comments involved the women’s swimming and diving team. The suspension is the third for an Ivy League team since November. At Harvard last month, the men’s soccer season was canceled after a demeaning “scouting report” on the women’s team was circulated online. A 2012 document uncovered by The Harvard Crimson student newspaper rated the attractiveness of recruits on the women’s team and included lewd comments about them. The Harvard men had been ranked number one in the Ivy League, CBS Boston reported. “The decision to cancel a season is serious and consequential and reflects Harvard’s view that both the team’s behavior and the failure to be forthcoming when initially questioned are completely unacceptable,” Harvard’s president said in a statement. Also in November, some members of Columbia University’s wrestling team were suspended from competing over apparent lewd and racially insensitive text messages. Some messages disparaged female students, expressed hope that someone would be sexually assaulted at a campus event, used anti-gay terms and slurred black people, including while discussing the deadly police shooting of unarmed black teenager Michael Brown in Ferguson, Missouri, in 2014. The messages sparked protests. More than 80 student-athletes and other students had gathered in the lobby of a Columbia fitness center. They called on the university to take the wrestlers involved off the team and demanded that each wrestler publicly apologize, the Columbia Spectator reported.